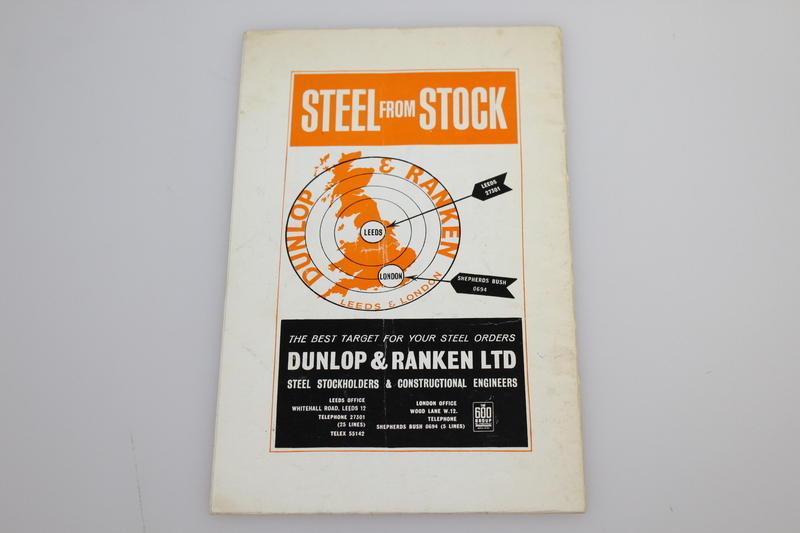 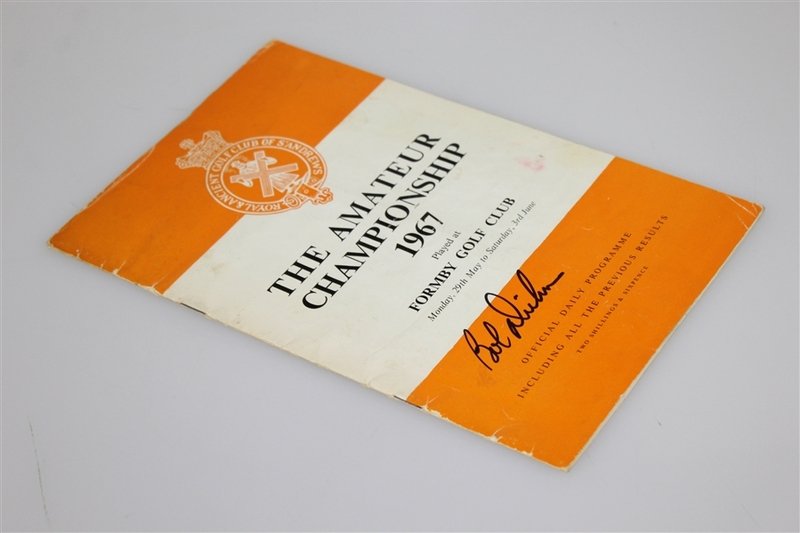 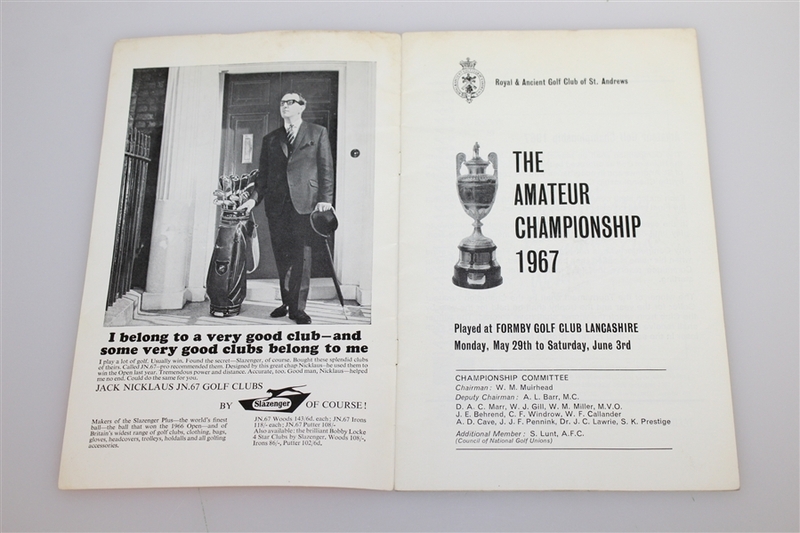 Offered here is a program from the 1967 British Amateur signed by the winner Bob Dickson. 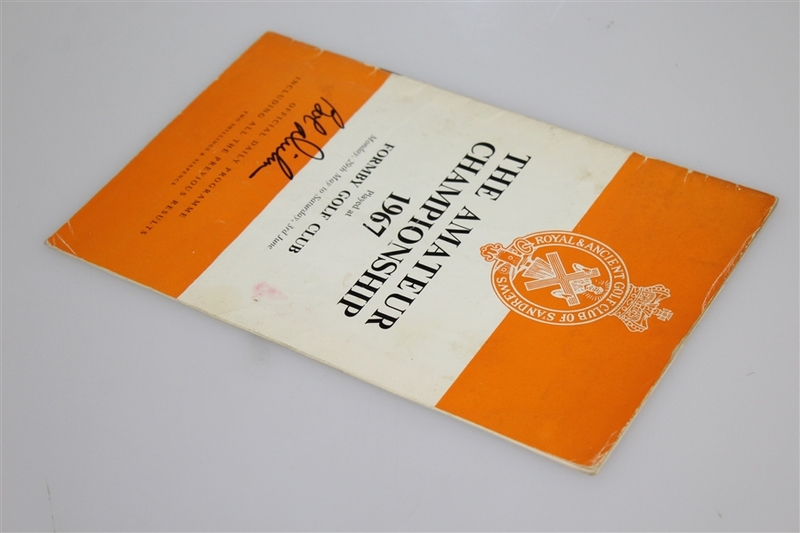 The program comes in good condition, though noting for accuracy creasing around the edges, please see photographs. 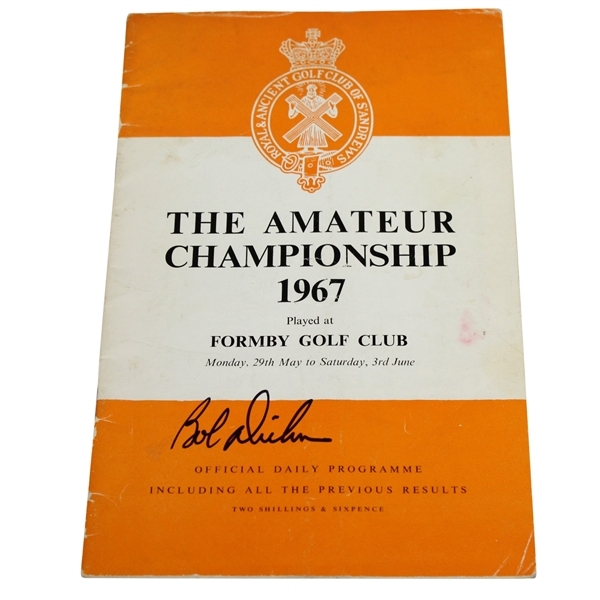 Bob Dickson won the 1967 British Amateur at Formby Golf Club 2 & 1 over Ron Cerrudo.